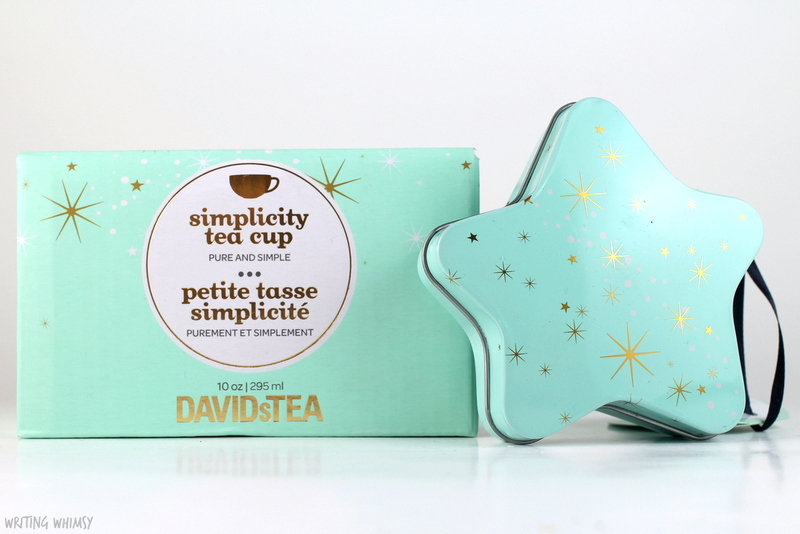 Given that Christmas is in only a few days I thought I would share a gorgeous last minute gift idea from one of my very favourite stores to buy from year-round, DAVIDsTEA. I mean, check out all the DT hauls I have on Writing Whimsy and I don’t even share them all because I am in denial and lazy about taking photos. 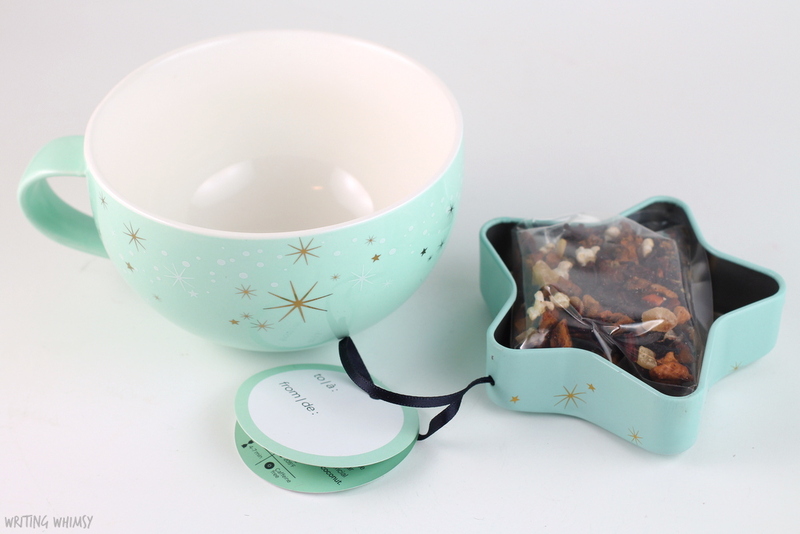 This last minute gift idea pairs the gorgeous DAVIDsTEA Mint Starry Sky Simplicity Cup* with a matching DAVIDsTEA Sleigh Ride Filled Star Ornament*. 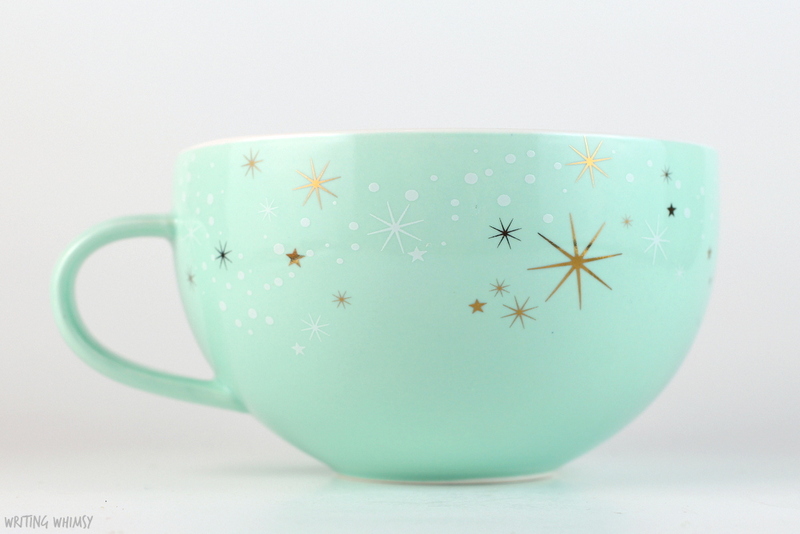 The DAVIDsTEA Mint Starry Sky Simplicity Cup is a gorgeous modern mug made of porcelain with a white finish on the inside and a lovely mint on the outside. There are gold and white stars that give a classic, “Kate Spade” aesthetic. Although the stars are a bit festive, I definitely think this is a mug you can use year-round which gives the person you are buying it for plenty of opportunities to sip tea and think about how lovely you are! This cup holds 10 oz and if you’re feeling extra generous, there’s even a matching teapot available. Of course, you can’t give a tea lover a lovely mug without some tea, and the DAVIDsTEA Sleigh Ride Filled Star Ornament matches perfectly. 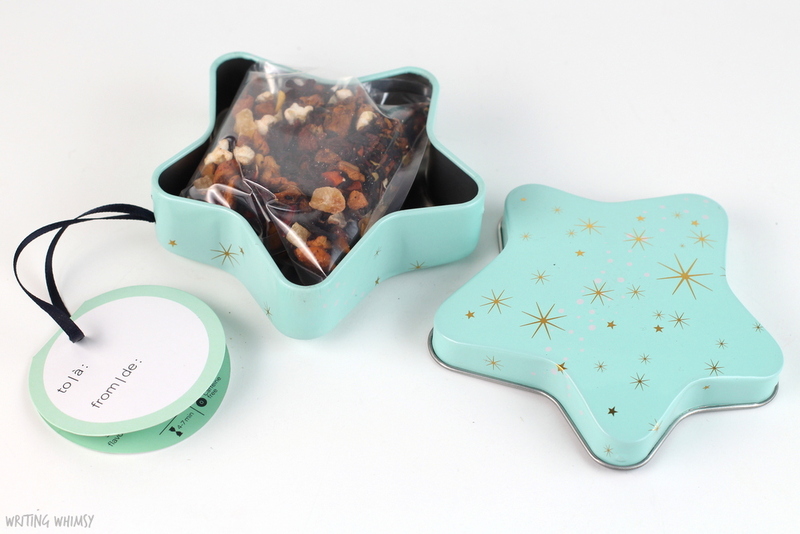 This metal tin you can also hang on a tree contains 20 grams of the limited edition, holiday tea. I’ve reviewed DAVIDsTEA Sleigh Ride before (here) and it’s a caffeine-free fruity tea contains apple, hibiscus, pineapple and papaya along with hint of cinnamon perfect for a winter evening. Again, I love that the mint and gold design makes this tin completely repurposeable to hold rings (or more tea!). Have you done all your holiday shopping yet? I haven’t!